Two Crystal Rhinestone Hair Comb, approximately 4 inch wide. Bridal Birdcage Veil, 8 inches long x 12 inches wide, French Veiling, attached to small metal comb. 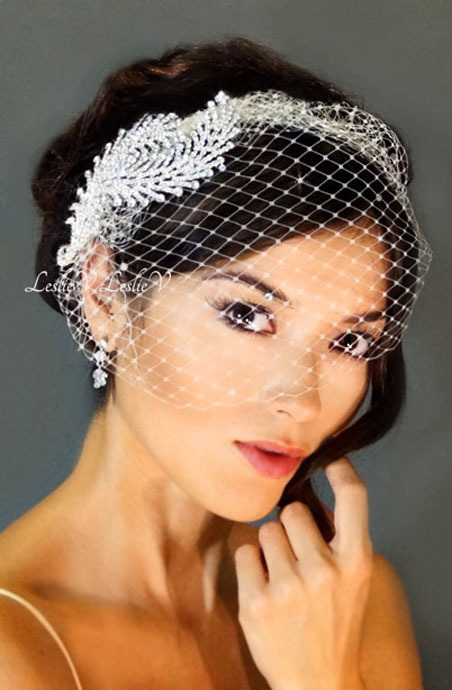 Rhinestone combs are detachable from veil. Styling instructions included Shop Lovely, Be Lovely!